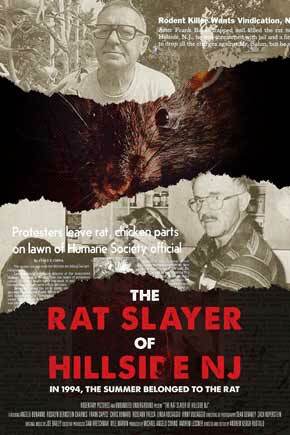 THE RAT SLAYER OF HILLSIDE NJ s a new documentary about the infamous Hillside rat case of 1994. Combining present day interviews and archival news footage, The Rat Slayer of Hillside NJ tells the dramatic story of Frank Balun and Lee Bernstein and the case that pitted them against each other and would eventually come to define their personal legacies. Andrew Keogh Ruotolo was born and raised in the Garden State. He studied film at Occidental College in Los Angeles. He currently works for Writer/Director John Sayles and Producer Maggie Renzi at their production company Anarchists' Convention. His previous short documentary PORTRAIT OF AN OLD TOY MAN screened at the Montclair Film Festival, Lighthouse International Film Fest and Rahway International Film Festival (winner - Best Documentary 2013).